According to the post-mortems carried out in Salerno in southern Italy, the Nigerian teenage migrant girls found dead in the Mediterranean drowned. The 26 teenage migrant girls found dead in the Mediterranean in early November almost all drowned at the sea. This is the result of the post-mortem examinations conducted on their bodies. According to the post-mortems carried out in Salerno in southern Italy, 25 of the girls died of asphyxiation in the water, most of them when the inflatable dinghy they were travelling on sank. The autopsies revealed one girl suffered a wound to her liver but found no recent trace of physical or sexual violence. Two of the girls were pregnant. 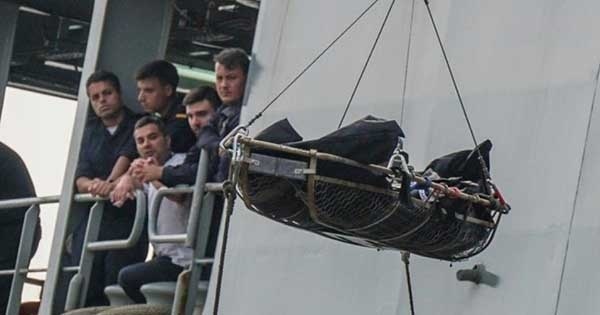 The remains of 26 were recovered from a Spanish warship, Cantabria, which docked in Salerno, and was found to be carrying 375 rescued migrants and the dead women. According to the report, 23 of the dead women were on a rubber boat with 64 other persons. Funerals for the 26 girls will take place on Friday in Salerno, where a day of mourning has been declared. Nigerian agencies continue to warn that such untimely deaths are the impact of senseless trips by road and sea in search of greener pastures.